Michael Neeley, DDS, PA now provides a new technique in dental implants for Highland Park, TX patients who have suffered tooth loss. In addition to dental implants, Dr. Neeley specializes in advanced treatments for gum disease with laser gum surgery. Dr. Michael Neeley Offers Laser Gum Surgery To Highland Park, TX Gum Disease Patients. Michael Neeley, DDS, PA leads the way in advanced dentistry with a new technique for dental implants for Highland Park, TX patients. For the millions of Americans who live with tooth loss, the exciting technology offers hope for improved oral health. For those with gum disease, Dr. Neeley also offers Laser Assisted New Attachment Procedure LANAP® to treat gum disease in as little as one visit. Whether due to an accident or injury, disease, lack of adequate care, or other cause, nearly 70 percent of adult Americans over the age of forty have suffered tooth loss. Many people have lost multiple teeth and have relied on temporary appliances like bridges or partial dentures to fill the gap that is left when the teeth are gone. While dentures and bridges are appropriate in some cases, they are known for slipping and clicking, coming loose and irritating the gums. Denture wearers usually have restrictions on the range of diet they can comfortably eat with the dental appliances in place. With dental implants for Highland Park, TX patients, the remaining healthy teeth and new replacement teeth have permanent anchors to support full oral health and a natural, healthy diet. The implants fuse naturally by a process called osseointegration, and become a functioning part of the jawbone, giving it the stimulation it needs to stay healthy. Many people who suffer from tooth loss also have some degree of gum recession, often aggravated by gum disease. Dr. Neeley now provides a rapid and effective treatment for those with gum disease in Highland Park with LANAP®. The procedure uses computer-guided laser light to target the areas of infection and damaged gums. The intense laser heat eradicates infection and damaged tissue, leaving healthy tissue intact and stronger in its attachment to the teeth. The minimally invasive, FDA cleared process is complete in just one visit for most patients. For full detailed information about the revolutionary new techniques in dental implants for Highland Park, TX that Dr. Neeley offers, visit him on online at http://www.dallasdds.net and learn more about quick and effective solutions to tooth loss. Among the other dental services Dr. Neeley provides, LANAP® can eliminate gum disease for Highland Park residents in as little as one simple visit. Call the office at (214) 306-9033 to learn more. Michael Neeley, DDS, PA, is a general dentist offering personalized dental care for Dallas, TX gum disease patients. Dr. Neeley is part of one percent of dental professionals providing the LANAP® FDA cleared laser procedure for gum disease and periodontal treatment. 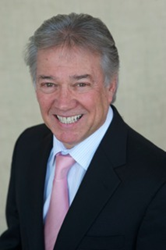 To learn more about Michael Neeley, DDS, PA, and his dental services visit his website at http://www.dallasdds.net and call (214) 306-9033.